Strange Brigade Release Date Announced | Nerd Much? 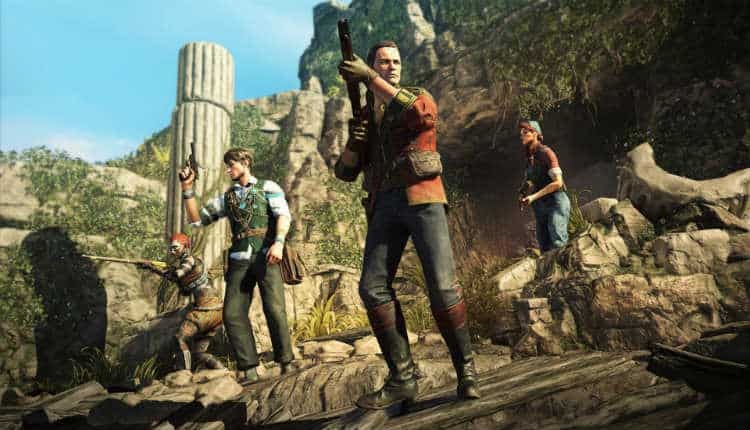 Rebellion Developments has finally announced when we can all discover Strange Brigade together. The game will be launching later this summer. Strange Brigade initially made its debut last June just prior to E3. It comes to us from the aforementioned Rebellion Developments. These folks are the same group of developers that have previously brought us the Sniper Elite series, as well as a plethora of other titles. The game is set within 1930’s Egypt. The plot revolves around Seteki the Witch Queen who has risen following her name being erased from history and her body disposed of within a nameless tomb some 4,000 years ago. You can play the game alone or with friends in up to a four play cooperative experience. The developers have also released the trailer which you can find above. It details the threat that Seteki the Witch Queen brings with her revival. It’s incredibly cheesy, but it’s designed to be. The game looks as though it’s motive is to just purely be fun. It looks to be a complete cliché, but an inherently fun one. Pre-orders are now up on the game’s site. Available for PlayStation 4, Xbox One and PC, you’ll get a trio of additional guns if you decide to purchase early. Known as the Secret Service Weapons Pack, it consists of a Gehrig-Delgane S1 rifle, a Wilkers & White P19 pistol, and a Stoudenmire 960 submachine gun. The adventure officially goes on sale on August 28th.